Final Conference Green Salon great success! 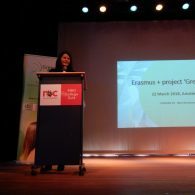 Home - News - Final Conference Green Salon great success! 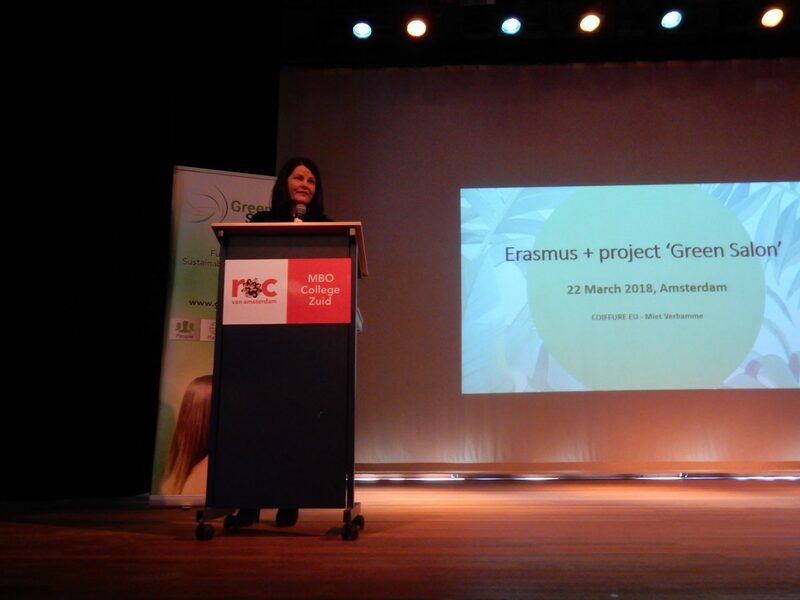 The Final Conference is organized in Amsterdam at the ROC Amsterdam, location MBO College Zuid. The conference started at 14.00 hrs with a walk-in / information market with models with a sustainable hair creation walk around. The conference started with a central meeting in the conference room . 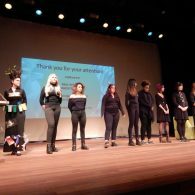 The opening took place by the host Pieter van der Bent, head of the hairdressers school of ROC Amsterdam. 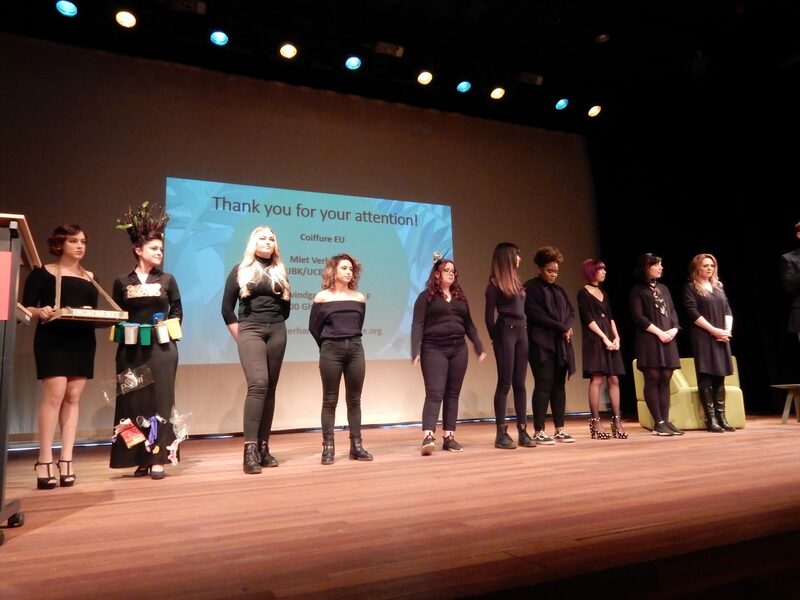 Mrs. Miet Verhamme from the European hairdressers association: Coiffure.eu presented the organization, their policy on sustainability and ongoing and finished (EU) projects on health and safety and environmental issues in the hairdress salons. Thereafter the presentations of the models with a sustainable hair creation took place. Stdents of the participating countries and their teachers had prepared a mini hair show. In the central room was a presentation on the project activities and results. The whole afternoon was a smaal information market with stands of the partners on the content and outputs of the project, like learning material, a physical sustainable game, a diagnostic scanner and a sustainable game, both internet applications, the research and results a the expert meeting. At 18.00 hrs the conference finished with the closure. Approximately 120 visitors were present at the conference, sector representatives, teachers, students and entrepreneurs.